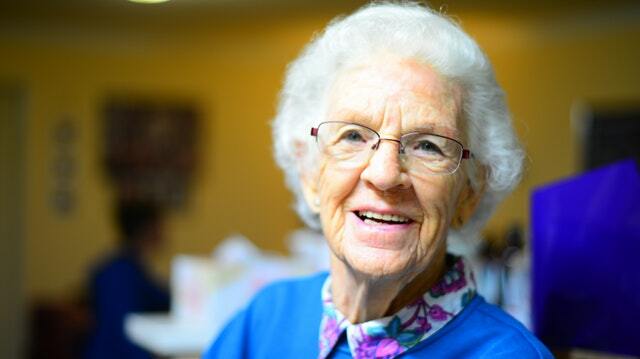 Construction and rehabilitation of facilities for elderly individuals requiring medical care or other long-term care. Purchasing and refinancing senior-focused healthcare properties. Under the FHA 232 program, properties must fall into the category of skilled nursing care facilities. Due to the scope of services provided, HUD places strict guidelines on eligible properties. Ineligible properties include those with entrance fees, hospitals, clinics, halfway houses, and similar facilities. Facilities that only provide room and board and do not provide continuous care (retirement homes, boarding houses, etc.) are ineligible. Also, new construction projects in the planning stages are not eligible. Nonprofit, for-profit, and public borrowers which can include developers, builders, investors, public entities, and nonprofit entities. Per FHA and HUD requirements, borrowers must have experience as owner-operators of similar facilities. Additional financial capacity and credit requirements must be met as well. If required by a designated State agency, a Certificate of Need must be submitted. Individuals needing skilled nursing care, custodial care, and assistance with daily activities are eligible to live in HUD 232-insured facilities. Typically, the firm application is submitted within 60 days of initial engagement with HUD. LEAN transactions for FHA 232 loans usually take four to six months from application to closing. The processing time varies depending on a number of factors including the application’s complexity and the receipt of required information. The FHA sets different maximum loan amounts depending on the nature of the project, specifically whether the borrower is nonprofit or for-profit. The DSCR (Debt Service Coverage Ratio) must be at least 1.45. If a borrower requests larger amounts, HUD may exercise greater credit scrutiny. For HUD 232 loans, MIP is 1% Upfront (payable at closing) and 0.65% annually. Escrows are required for taxes, insurance, replacement reserves, and MIP (mortgage insurance premium). If the property requires repairs, a 120% refundable escrow is also required. 100% of this reserve is funded from loan proceeds; The borrowers funds the remaining 20%. Mortgages taken out on a property within two years of the HUD 232 application must meet specific eligibility guidelines. These loans may also have additional seasoning requirements. Depending on the mortgage amount and HUD-insured LTV (loan-to-value ratio), equity take-out loans could be eligible for immediate refinancing. HUD senior housing financing is fully amortizing. HUD dictates a minimum 10-year loan term. For existing facilities, the maximum term is 35 years or 75% of the facility’s remaining life. For new construction and rehabilitated properties, the program allows fixed rate financing for up to 40 years. HUD Lean 232 insures fixed-rate loans that are subject to market conditions. HUD-approved lenders can provide additional information on interest rates. These loans are are non-recourse for principals (with standard carve-outs). HUD 232 loans are fully assumable, subject to FHA/HUD approval. Also, a 0.05% assumability fee must be paid to HUD. Prepayment is usually allowed pending HUD approval. There is typically a two-year lock-out during which prepayment is not allowed. There is also a penalty that declines as the loan matures. New construction and substantial rehabilitation projects must follow prevailing wage standards as outlined by the Davis-Bacon Act. HUD places limits on how funds can be used. Specifically, HUD allows borrowers to finance reserve funds over a 15-year period for replacement. However, the rehabilitation costs must not exceed 15% of the total project value (once repairs have been completed). Typically, FHA 232 loans require the submission of annual audited financial statements by property owners. Statements must be received within 90 days of the fiscal year close and must be prepared according to 24 CFR 5.801 and 200.36 guidelines. In addition, property operators must submit quarterly financial statements.